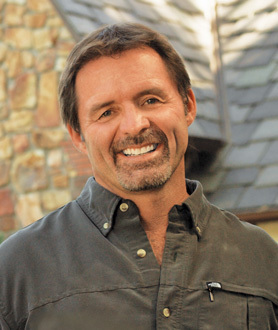 Guided by his love for art and people, Bill Baldwin has developed one of the leading design/build firms in the nation. In 2018, HartmanBaldwin was listed as one of the Top 3 firms in California and 15th out of 550 remodeling companies in the United States by Remodeling Magazine’s Big 550. In his 35 years of working in the Architecture & Construction industry, he has built an impressive list of notable clients and significant projects. As well as developed a loyal team that consists of talented and award-winning LEED accredited Architects, Certified Interior Designers, Project Managers, Craftsmen and Artisans. Above all, what drives him are the long-lasting friendships that began through the very work he dedicates his life to. Leaving a positive mark on all that work with him while nurturing a creative, open and inclusive culture in the workplace is a mantra and mission. Invite Us In, We Can Change How You Live. When we talk about design, we’re not just talking about style. We’re talking about an engaged process that involves identifying and understanding a problem, then using our imagination and experience to collaboratively discover a solution and execute it masterfully. This is the HartmanBaldwin promise, this is the HartmanBaldwin difference. GuildQuality serves hundreds of building professionals committed to delivering an exceptional client experience. As an independent third party, GuildQuality interviews every client about his or her experience throughout the project and immediately relays the feedback to HartmanBaldwin.